Barack Obama, President of the United States; Hillary Rodham Clinton, Secretary of State, U.S. Department of State; Luis Alberto Moreno, President, Inter-American Development Bank; Tony Blair, Former Prime Minster of the United Kingdom; Michelle Bachelet, Former President of Chile and First Under-Secretary-General and Executive Director of UN Women; Gro Harlem Brundtland, Former Prime Minister of the Kingdom of Norway; Muhammad Yunus; Chelsea Clinton; Trudie Styler & Sting; John Chambers, Chairman and CEO of Cisco; Bob Diamond, Chief Executive of Barclays; Bob McDonald, Chairman of the Board, President and CEO of Procter & Gamble; Muhtar Kent, Chairman and CEO of the Coca-Cola Company; Indra Nooyi, Chairman and CEO of PepsiCo; Paul Polman, Chief Executive Officer of Unilever; Jim Rogers, Chairman, President & CEO of Duke Energy; Helene D. Gayle, President and CEO of CARE USA; Dikembe Mutombo; Geena Davis; and K’NAAN among the key participants for the Seventh Annual Meeting. Meeting to Address Global Challenges through three Annual Meeting Topics: Jobs, Jobs, Jobs; Increasing Sustainable Consumption; and Empowering Girls and Women. 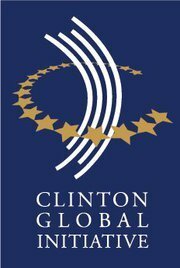 Today, President Bill Clinton announced the program and featured attendees for the seventh Annual Meeting of the Clinton Global Initiative (CGI) to be held September 20-22 in New York City. This year’s gathering will bring together an estimated 1,200 diverse stakeholders, including current and former heads of state, Fortune 500 CEOs, national and local government officials, and leaders from the nonprofit sector to devise and implement workable solutions to some of the world’s most pressing challenges. "Since we began in 2005, CGI members have made great progress in addressing critical global issues by making more than 2,000 commitments through CGI that have and will improve the lives of more than 300 million people in more than 180 countries," President Clinton said. "As many of these commitments come to fruition, I am proud that we will be showcasing the tangible impact they have made." • Jobs, Jobs, Jobs: Generating Employment for the 21st Century, which will highlight effective workforce training programs, showcase innovative government incentives that catalyze inclusive job growth, and examine market-leading business developments that can sustainably increase profits, productivity, and prosperity around the world. This topic area will build on the work of CGI America, the first CGI event focused on job creation and driving economic growth in the U.S., which took take place this past June in Chicago. • Sustainable Consumption: Ensuring Long-term Prosperity on a Finite Planet, which will explore how, by redefining consumption, organizations can quickly respond to the realities of impending resource constraints and instability while ensuring economic growth. • Girls and Women: Scaling What Works, which will return as a topic area for this year’s Annual Meeting and will build on the continued success of past efforts by taking a deeper look at what is working in girls and women’s empowerment and highlighting areas where more resources could make a significant impact. Other special sessions will address critical issues in the Middle East and North Africa, as well as the role architecture, sports, and the arts play in fostering positive change. The complete program, session descriptions, and participants are available online at www.clintonglobalinitiative.org/ourmeetings. President Barack Obama will join President Bill Clinton again at the 2011 Annual Meeting of CGI in New York. Among the other confirmed attendees include Bob McDonald, chairman of the board, president, and CEO, Procter & Gamble; Chelsea Clinton; Denis O’Brien, chairman, Digicel; Dikembe Mutombo, chairman and president, Dikembe Mutombo Foundation, Inc.; Geena Davis, founder, the Geena Davis Institute on Gender in Media; Gro Harlem Brundtland, former prime minister of the Kingdom of Norway; Hillary Rodham Clinton, secretary of state, U.S. Department of State; Helene D. Gayle, president and CEO, CARE USA; Indra Nooyi, chairman and CEO, PepsiCo; Jim Rogers, chairman, president and CEO, Duke Energy; John Chambers, chairman and CEO, Cisco; K’NAAN; Luis Alberto Moreno, president, Inter-American Development Bank; Mark Tercek, president and CEO, the Nature Conservancy; Michelle Bachelet, former president of Chile and first under-secretary-general and executive director, UN Women; Muhammad Yunus, founder, Grameen Bank; Muhtar Kent, Chairman and CEO of the Coca-Cola Company; Paul Polman, chief executive officer, Unilever; Premal Shah, president, Kiva.org; Bob Diamond, Jr., chief executive, Barclays; Trudie Styler & Sting; Tony Blair, former prime minster of the United Kingdom; Vikki Spruill, chief executive officer, the Ocean Conservancy. • Trudie Styler & Sting, founders, the Rainforest Fund will be honored for their commitment to protecting rainforests around the world and for defending the rights of the indigenous peoples who live there. • Philippe Douste-Blazy, chair of the board, UNITAID will be honored for the French Government’s innovative financing of UNITAID to expand access to health for the world’s most disadvantaged people. • Denis Mukwege, founder and medical director, the Panzi Hospital of Bukavu will be honored for his commitment to healing the women and girls of the Congo who have fallen victim to sexual violence as a result of the ongoing war. • Mhammed Abbad Andaloussi, chairman and CEO, Injaz Morocco will be honored for his visionary approach to transform the Moroccan education system by mobilizing public and private partnerships to create better schools. • Güler Sabanci, chairman and managing director, Sabanci Holding will be honored for her leadership to empower girls and women around the world, and for her commitment to social, cultural and economic development throughout Turkey. 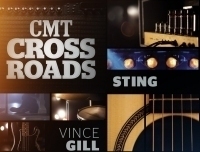 The ceremony will also include live performances by Sting and K’NAAN. View and share session webcasts from the 2011 CGI Annual Meeting by visiting: http://live.clintonglobalinitiative.org and follow @ClintonGlobal (http://twitter.com/clintonglobal) for meeting news and highlights. The event hashtag is #CGI2011. Yay Trudie and Sting! Awesome news! What an incredible honor! It must be great to have your accomplishments acknowledged internationally. Congratulations, Sting & Trudie!